I was blown away by Wednesday’s teaching & learning conference “Engaging everyone: addressing the diversity and inclusion expectations of the Curriculum Framework“. 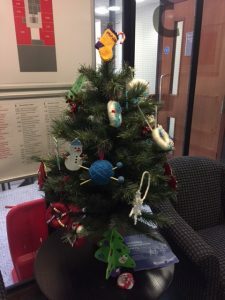 This was lead-organised by my CQSD colleagues, especially Nina Brooke, but as a collaborative effort across the T&L patch, working with the T&L Dean Elizabeth McCrum and others, and with the RUSU Education and Diversity Officers, Niall Hamilton and Sed Joshi. The venue – the large Meadow Suite in Park House – was excellent – and full to the brim with staff and students from across the University, including regular academics, many from the “Leadership Group”, and very many of the School Directors of Teaching and Learning who have to lead – and cajole – to make change on the ground. 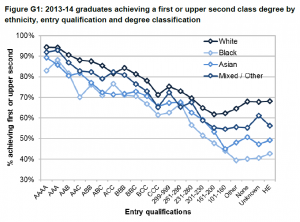 My jobshare Ellie Highwood will blog separately with her take, including local data on attainment gaps, and gaps in BAME representation between the student body and the staff side, that she presented with Sed in their highly interactive presentation in the morning. 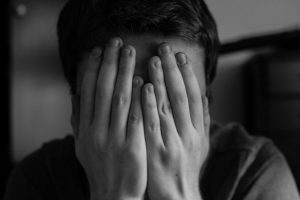 I’ll focus myself on the sessions run by the conference Keynote speaker, Professor Gurnam Singh, Principal Lecturer in Social Work at Coventry University and Visiting Professor of Social Work at Chester University. In his afternoon workshop on “Transformative Pedagogy in Action” Gurnam revealed more of his background: this something he advocated, for connecting to the learner, humanising relationships, and sharing vulnerabilities. He described his (extraordinary) academic journey from UFD (his O-level grades) to PhD (Social Studies at Warwick) and beyond, starting with his early rebellious school career in Bradford, truanting in Bradford Central Library (where much of his education happened), the one bright (and memorable) spark at school the lunchtime lectures in Sophocles and classical architecture from “Mr Mitchell” whose passion for teaching and his subject has had a lasting impact. 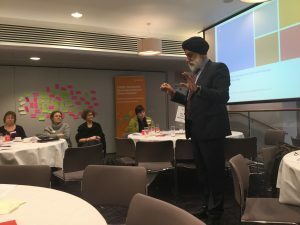 Talking about research vision on his website Prof Singh describes himself “as an academic activist in that what inspires me both in my teaching and research is the desire to transform individuals and society”. This perspective and motivation came through strongly in his morning Keynote on “Understanding and Eliminating Disparities in Degree Awarding: Challenges and Perspectives“, drawing on his extensive research (and resear ch funding) in this area, including his substantial 2011 Higher Education Academy Report “Black and minority ethnic (BME) students’ participation in higher education: improving retention and success“. This keynote was a wide-ranging and comprehensive account of the problem and possible solutions. In part it was a (welcome) call to arms and polemic, asking which side of history are we on, urging us to work for a different history, that we can be part of the change. He was scathing about a certain sort of (white upper class) elitism, a “particular kind of superiority, not excellence, something else”, the sort we associate with the Bullingdon Club, and about the impact of Trump in legitimising racism and misogyny (while noting that to many Trump had been the social change candidate), and (very much correctly) observed that “we need more in the academy of my sort”. In this initial part of the presentation he urged work to diversify the academy – with a BME focus but also commenting more broadly – from a variety of perspectives, reminding us that from an international legal perspective education is a fundamental human right, of our legal obligations under the equality act, of the moral imperative to act in response to inequality, and of the (neo-liberal?) 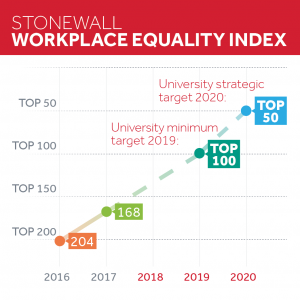 commercial imperative, reminding us of the business benefits of diversity and the widely-cited McKinsey report, and memorably remarking that his own institution “would not exist as a White university, except as a senior management team”. (Of course, this applies equally at Reading.) These are all potential levers for change. Gurnam cited also the TEF (with its promise of ‘incentives that reward institutions who do best at retention and progression of disadvantaged students through their college years’) as another key lever. 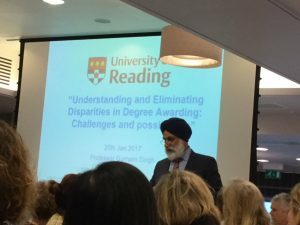 (In this space Prof Singh was part of the Academic Reference Group feeding into the October 2016 report “Working in Partnership: enabling Social Mobility in Higher Education” from UUK.) In summary he noted that, through these various drivers disparity in attainment was moving to the top of the agenda – this was certainly true in Wednesday’s conference and in the associated work that has led to our new Curriculum Framework. structural disadvantages: socio-economic, living a precarious existence, impacts of large commuting distance. He finished his keynote with a call to arms that was really the theme of the whole day; that inclusion and social justice are not just desirable but an absolute moral and economic necessity, and this means we have to mainstream our efforts in attacking attainment gaps – precisely the point and spirit of our new Curriculum Framework. 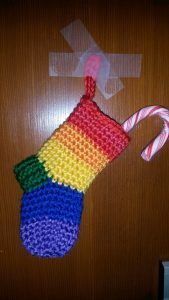 Welcome to the new Diversity and Inclusion blog. We hope you will join us as we talk about what we are doing at the University of Reading to ensure all our staff and students can reach their full potential, and to debate matters relating to diversity and inclusion that are fundamental to not only our University but wider society.